Optical scattering arising from interface roughness and interference effects is a dominant loss mechanism of thin film coatings for 193 nm. A procedure is presented where at-wavelength scatter measurements in combination with atomic force microscopy are used as a tool for the in-depth characterization of the origins of scattering. 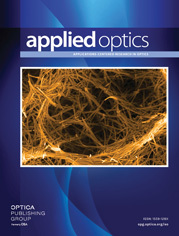 For highly reflective coatings, the influence of the substrate roughness on the growth properties is analyzed. Moreover, the effects of interface roughness and optical thickness deviations on the scattering properties are separated. Furthermore, the procedure was used to investigate scattering properties of coatings at 45° incidence and of coatings applied in immersion fluid that so far could not be accessed by direct measurement.